Are your safe systems of work robust enough to avoid situations as this one below? A builder has been fined for safety failings after an employee suffered life-changing injuries when he fell through a fragile roof light. Bristol Crown Court heard how in August 2014 the 25-year-old employee of a Somerset company fell five meters through a fragile roof light at a farm during roofing work. The employee suffered brain injury, a fractured spine and broken ribs. The company in question was fined a total of ?26,000, and ordered to pay ?3,738 in costs after pleading guilty to an offence under Section 2(1) of the Health and Safety at Work etc. Act 1974. The use of nets to protect against falls through fragile roof lights is well- established in the industry, if nets had been in place this accident would have been prevented? Recent statistics released by Direct Line for Business have revealed a decline in construction and trade apprenticeships. The breakdown of figures demonstrates that construction and trade apprenticeships made up just 7% of all apprenticeships last year, decreasing from a positive 12% in 2006. These figures were compared against other types of apprenticeships which have shown an increase in popularity, evidencing a 57% increase in the number of total apprenticeships in the last five years to 434,630 during 2013/14. Arranged in order of the total number of apprenticeships created throughout 2013/14, only two construction and trade focused apprenticeships ranked in the top ten (construction skills at ninth and industrial applications at tenth). This outcome is a stark contrast to 2006/07 when construction skills apprenticeships were ranked at the top with over 20,000 apprenticeships undertaken in this field. In addition to these figures, further statistics show that the number of National Vocational Qualifications (NVQs), Scottish Vocational Qualifications (SVQs), Vocationally Related Qualifications (VRQs) and Credit Framework Qualifications (QCFs) awarded between 2013 and 2014 fell by 14% from 5,443,000 to 4,684,000. The number of NVQs/SVQs achieved in the UK has reduced hugely over the last four years from one million in 2009/10 to 44,000 in 2013/14. Similarly, the number of VRQs achieved in the UK also decreased from two million in 2009/10 to 190,000 in 2013/14. Furthermore qualifications in construction, planning and the built environment made up only 5% of all qualifications in 2013/14 (232,200 out of 4,684,000). Nick Breton, head of Direct Line for Business said: ?Apprenticeships are important for budding builders, plumbers and electricians to get into the workplace. With fewer people in apprenticeships there is a risk of creating a skills gap that will affect businesses and consumers alike. ?The introduction of the new ?3 billion apprenticeship levy in the Government?s Autumn Statement and the promise of three million new apprenticeships across the UK is a positive move, which we hope will make it easier for SMEs to ensure that they have access to skilled young workers.? The Technology and Construction Court has established a precedent concerning the methods for assessing the deterioration of roof lights under a terminal dilapidations claim for a full repairing lease. With many industrial and commercial buildings incorporating dozens of roof lights, this could impact substantially not only future dilapidations claims ? but valuations, rent reviews and ratings. The court case arose concerning a property that was constructed in 1993 and was owned by a company called Twinmar.? A company called Claris took a lease for 25 years from 29th September 1993, however, a break clause was exercised causing the lease to be determined on 28th September 2008.? Throughout the negotiations, the original dilapidations claim was some ?400,000 plus the appropriate fees. This was then reduced to approximately ?225,000 following a tendering process.? The major issue of dispute was over the roof lights. The Landlord claimed they were in substantial disrepair and they were entitled to cover the cost of treating the roof lights with a special coating system plus all the associated costs of scaffolding and other related works, the former tenant argued that the roof lights were not in disrepair as they were not leaking and that moss and lichen and other matters had not taken hold.? The Judge ultimately assessed that the liability for disrepair was not to be measured on the basis of whether or not the existing condition was abstractly acceptable, but instead with regards to putting the property back into the condition it was at the commencement of the lease with further regard, as is always the case, to the class of person who would be expected to take the property at the commencement of a lease. As these roof lights were new at the commencement of the lease, and bearing in mind that the roof lights had a life expectancy of some 20 years, some loss of translucence or light could be expected after 10 years. Nevertheless, the amount of loss of light implied and suggested to the judge that, bearing in mind the wording of the covenant ? to keep the ?whole of the premises?. in good and substantial repair and condition? ? the roof lights ceased to be in ?good condition? once there had been a visible and significant reduction in their translucence such that the light coming through them had to be augmented by artificial light in weather conditions that would not have required artificial lighting when the roof lights were new. The light was found to be limited substantially by the abrasion of the surfaces and the wearing away of the original gel coats. The tenant was found liable and the costs for the remedial works, including applying the new coating and all the appropriate health and safety measures, were confirmed as chargeable in the dilapidations claim. Whilst this ruling will have huge consequences for other terminal dilapidations claims under similar material facts, this could also have potential valuation and legal knock-on issues.? It might be surmised, for example, that when somebody is taking out a tenancy on something that is substantially lit by natural light through roof lights that are likely to degrade over a period of time, this ruling may increase the expected costs of occupancy over the buildings life span.? If the life expectancy of these light panels in the roof are some 20 years when a typical lease may be some 15 years in length, it is highly likely that the whole cost of replacing these lights may well be required in a dilapidations case claim at the end of the lease.? As a consequence, some new leases may end up having this aspect specifically excluded as a pre-agreed contract. For those that continue with a ?traditional? full repairing obligation, this addition to the costs of occupation may be allowed for in the valuation process either by reduced rental or some other form of compensatory basis. It could even be argued that on a lease that has already commenced where previously this issue has not been considered, there may be grounds for a tenant helping to prevent there being or reducing any rent increase at a rent review, ceteris paribus. If the ?putting back in its original state? argument overrules the ?reasonable wear and tear? argument there will be long term liability, legal and valuation implications that will need to considered by professionals both of a property and legal disposition. As an interesting side note, the Judge in this instance commented obiter on the second argument raised by the claimants ? ie. that the roof lights were ?windows? and thus came under another clause of the lease ?to replace and renew and keep clean all windows at the premises?. The Judge considered that roof lights were not to be considered windows under the material facts. It was axiomatic that windows are typically glass and it was essential that, for any other material to behave like a window, it must behave like glass. Although roof lights admit light, they are not nearly as translucent as glass and on this fact the argument was thrown out. IOSH members can view new regulations and guidance for managing safety and health in the construction industry. The Construction (Design and Management) Regulations 2015 (CDM) have officially been published, ahead of becoming the main driver for managing the health, safety and welfare of construction projects from 6 April. They comprise six draft industry guidance documents aimed at clients, contractors, designers, principal contractors, principal designers and workers, and an additional HSE ?L? series guide on the regulations. The new regulations have been drawn up following a public consultation last year by the Health and Safety Executive (HSE).
? ?Principal Designer (PD) ? The CDM Co-ordinator role under CDM2007 will be replaced by the new PD role. It means responsibility for coordinated the pre-construction phase will rest with a member of the design team. ??Client ? The new regulations recognise the client as the head of the supply chain and as the party best place to set standards throughout a project. ??Competence ? The detailed requirements will be replaced with a more general framework which splits ?competence? into component parts of skills, knowledge, training and experience and organisational capability. Though ?domestic? clients are in the scope of CDM 2015, their duties will normally be transferred to other duty holders. Projects which are already underway before 6 April will be able to comply with the 2007 CDM Regulations for a period of six months. After 6 October, all ongoing projects will have to comply with the new CDM Regulations 2015. 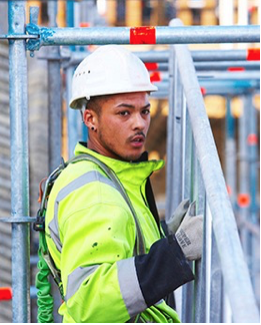 Paul Haxell, chair of the IOSH Construction Group said: ?There are some subtle yet very significant changes in the responsibilities of the duty holders which need to be carefully considered. ?For example, the strengthening of the client responsibilities and the explicit requirement for the PC to consult with the workforce are every bit as important as the plan, manage and monitor responsibility placed on the Principal Designer during the pre-construction phase. ?It is the latter which is receiving a lot of attention in the press. In my opinion, HSE and CONIAC have got it about right, given the huge variation in breadth which exists in the construction industry. ?There is a great new opportunity for the OSH professional to provide pragmatic advice to support implementation of the new regulations and not be seen to oversell professional services. The IOSH Construction Group is planning to plan a full part in this endeavour.? 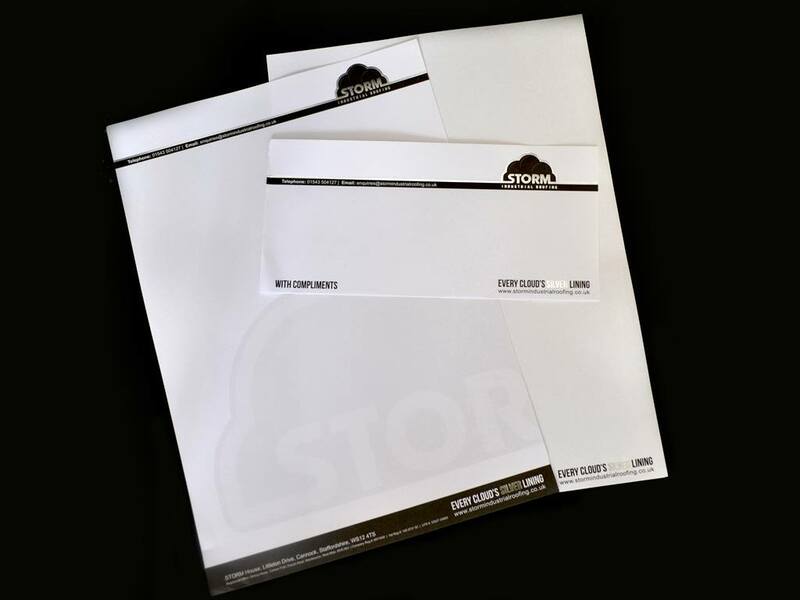 This week our new stationary has landed, we have upgraded our letterheads, compliment slips and continuation paper. Whether you are looking for Pitched Roof Repairs or general Industrial Roofing in the Midlands, you will already have a certain idea about the services you need in your mind. However, many people are not aware about many of the developments in the industrial roofing industry and that new technologies can help their business with more than simple protection against the elements. You might build a new warehouse, a new office building or you might think about replacing the old roof of one of your buildings because it started being in serious disrepair. Whichever your reason is, it is the perfect opportunity to educate yourself about industrial roofing in the Midlands and how a good roof could help you and your business. A roof has two basic functions: it protects from the elements and it keeps animals and people from getting into the house from the top. However, businesses should also see the additional functions a roof can provide: it can be a power-saver and even a power-generator if you install solar cells on top of the roof. Any good roofing company can help you with getting solar power on your roof. They will be there to help you through the planning, installing and the maintenance. If you get any work done on the roofs of your industrial building, then you should definitely consider installing solar cells at the same time. In the long run, this will turn out to be an incredible investment that you won’t regret. Solar power is something that will keep on giving long after you’ve paid it off. If you need Pitched Roof repairs but might think that the roof would be better off being replaced, then you might be surprised about the variety of materials that can be used to build a roof. There have been many developments in the last years and many of the really good materials have been more affordable. Thermoplastic roof membranes are one example and are becoming more and more popular for industrial roofing in the Midlands and are already the preferred material in many places around the world. The thermoplastic roof membranes are ideal for industrial roofing because they are highly reflective and because of that will save you some dollars on your power bill. The roofing industry does not ever stand still and there are still many innovations that are currently tested and most likely there will be many other exciting things in the future of industrial roofing, esp. in the area of environmentally friendly roofing materials. If you replace a roof or build a new industrial building, then it will pay off if you make sure that you get the best advice from your roofing company and ask them about the newest innovations and about what is currently the most popular option in the industry. Make sure that you also keep an eye on the option that are good for the environment because this plays a huge role for a business’s image. Roofs are something we often take for granted. We simply don’t think much about them. We expect them to be there and to do their job. When it comes to industrial roofing, however, more thought should be put into the roofs on the business buildings. Whether you believe it or not: your roof can actually make a difference for your business and it can make you stand out from your competition. So how can industrial roofing in the Midlands help you to gain an edge? The most obvious reason is the installation of solar panels on your roof. You might think that the initial costs would be too high but there are many different schemes that can make the financial side of solar roofing very easy for you and your business. A good roofing company will also be able to advice you on everything you need to know about financing. Yes, solar panels aren’t exactly cheap but when you have a look at the long-term benefits and the improvement of your reputation, then the price is truly worth it. These days, you should not underestimate the power of green energy and what your customers think about it. When your customers see that you have used a good industrial roofing company in the Midlands to get solar panels installed on your roof to produce energy that is good for the environment, then their ideas about you and your company will definitely be more positive than before. People prefer shopping and doing business with companies who care about modern issues ? and environmental issues are very important these days. Of course, your roof should be in a very good condition before you think about adding any extras. Maybe you need to have some pitched roof repairs done or there might be some minor leaks that need fixing. Problems like that should certainly be taken care of before you do anything else with the roof. Usually, a good roofing company will have a look at your roof before they install anything, they will find all the problems your roof might have and will then talk to you about possible solutions and their costs. Get in touch with us ? no matter whether you simply need some advice about how you can improve your roofing, how you can install solar-panels and make profits with it or whether you need pitched roof repairs. We can help you will all those roofing concerns and are more than happy to advise you on the best solution for your situation. Our customers have so far always been very satisfied with our services and even recommended us to other businesses. We strive to provide excellent customer service and to help our customers to find the best industrial roofing solutions in the Midlands. Problems with roofing belong to the most annoying and troubling issues a company could have with their building. The roof serves as isolation and as protection for what’s inside a building and a lot of damage can occur if a roof fails to deliver the needed protection. A warehouse, for example, in which precious goods like electronics are stored can suffer losses of millions of pounds if a roof is damaged and leaks cause water damage, esp. if the leak is noticed too late. Bad roofing can also lead to high costs for heating in winter and air conditioning in summer. There is a perfect roof for every building but unfortunately, many buildings have the wrong kind of roof! Whether your pitched roof is already damaged, simply looks ugly or you aren’t sure about its state: It is time to get in touch with a company that specialises on roofing, especially if you have never had your roof checked on faults. Even if you don’t have any problems with your roof, you might want to consider improving the quality and appearance of the roof, e.g. by adding solar panels to it as this can be a long-term investment that will lead to savings in the future and will give your company a better image. You should take your time to find a company that will be quick, reliable and professional. Of course, you do not want to spend a fortune but you also don’t want a company who does a bad job and might have to be called back a few weeks or even just a few days later. It is important to find a company that really meets your requirements in regards to time, money and quality. This means that you want a provider for pitched roof repairs and fitting in Cannock who works quick, who delivers the best quality and who does so for a reasonable and fair price. You should also check what previous customers of the company have to say of about the quality of the company’s roofing work. 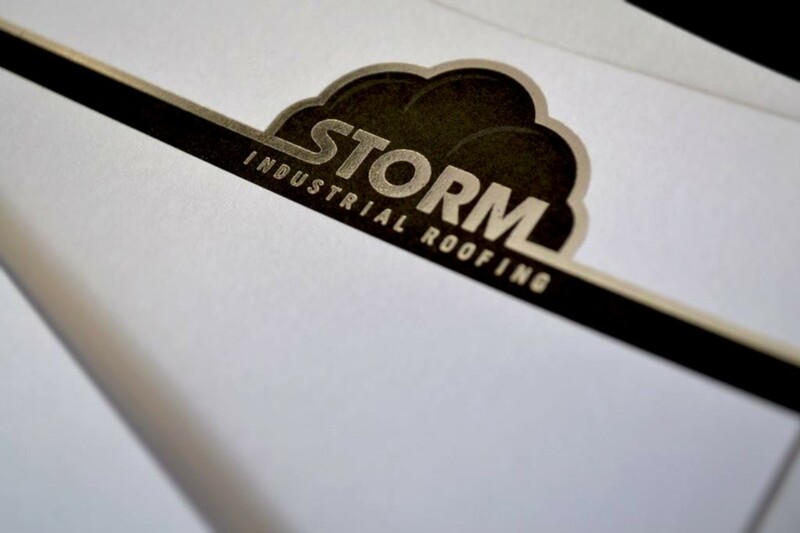 Storm Industrial Roofing can help you whether you need a flat roof turned into a pitched roof, need a completely new roof fitted or are in need of pitched roof repairs in Cannock. You can request a free survey and quotation online without any obligations. Storm Industrial Roofing are also happy to help you with advice as they have years of roofing experience behind them and know the best solutions for any kind of building. The professional roofing company will be able to help you to make a good decision because they will provide you with as much information as you could possibly want. They will also be open about how much everything will cost so that you won’t be surprised about the bill you receive at the end. Transparency, honesty, good time management and reliability are top priorities. Storm Industrial roofing are proud to provide both roofing and solar solutions nationwide, we also repair and refurbish many different types of roofing. We work hand in hand with Solartime Uk, we help reduce your?electricity?bills whilst allowing you to earn money from the feed-in-tariff which is government backed. What are financial benefits of having Solar roofing ? What are the Environmental Benefits ? To find out more about our Solar Roofing please click here? Did you know we now provide Solar Panel Roofing Installations. Based in Cannock we are an ideal location in the Midlands for offering Solar Panel Solutions Nationwide. 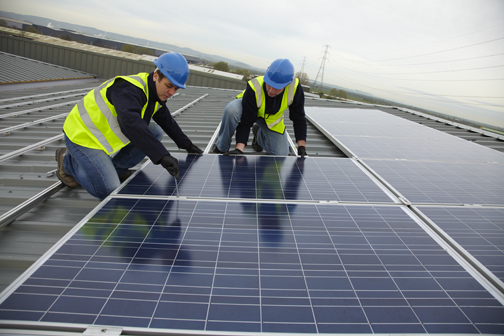 We work in Partnership with Solartime UK specialists in solar panel installation in Cannock. We can help you reduce your home or office bills and help you earn money at the same time. 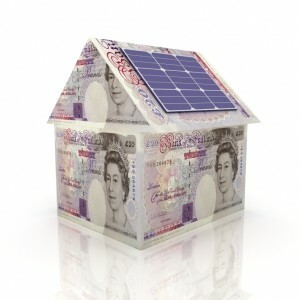 With a government backed solar panel feed in tariff you can make money on top of your standard electricity bills. A solar panel installation is a sound investments for your future and also helps reduce your carbon footprint. With energy prices predicted to increase drastically over the next 3 to 5 years it’s the right time to start saving money and making money with a Solar Panel Installation. If you are a?business looking to make a smart business decision to reduce escalating energy costs and carbon taxes give us a call today for a no obligation chat on how we can help. Solar Panel Installers in Cannock we can serve Nationwide. Give us a call today.